I studied printmaking at the City Art Institute/University of New South Wales, College of Fine Arts, Australia, completing my Master of Art in 1994 and Master of Fine Arts by Research in 2012. Exhibiting since 1986, both in Australia and internationally, I have been the recipient of numerous awards, scholarships and residencies including; the PLC Scholarship to attend Impact 6 Conference in Bristol, England and in 2008 I was artist in residence at the Moores Studio, Fremantle Arts Centre, WA. In 2011, 2013 and 2015 I Read Morewas selected for the Pacific Rim International Print Exhibition held in Christchurch, New Zealand where I gained a Honourable Mention (2013). 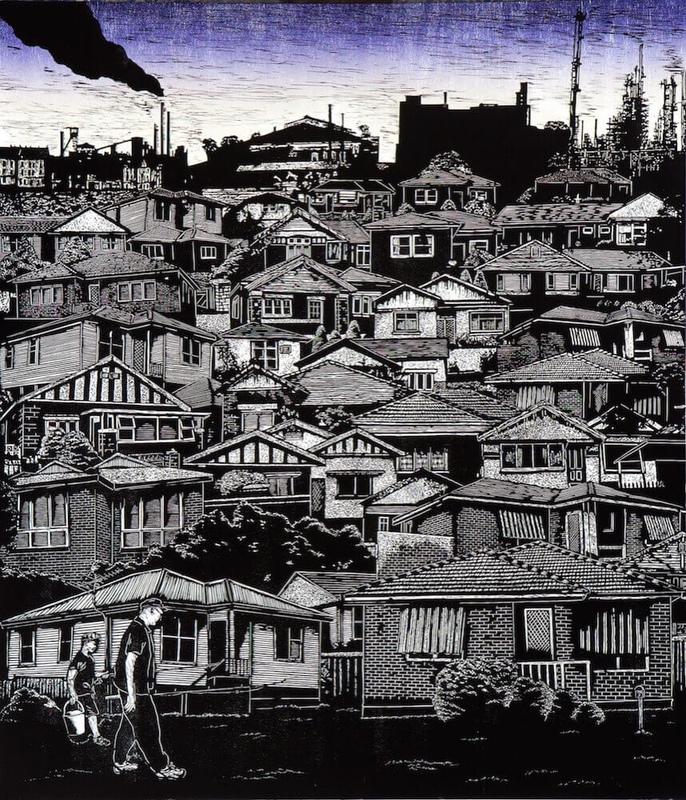 In 2011 I exhibited at the Istanbul Biennale and was the Grand Prize Winner of the Silk Cut Print Award, Australia. My work is represented in a number of public collections including; The Art Gallery of NSW, Australian National Gallery, State Library of Victoria and the Queensland Art Gallery.